Any enterprise that wants to increase its customer base by sending mobile messages should keep certain basic marketing rules in mind. When it is a startup, knowing such marketing tips becomes all the more important. Today, we reveal 6 most important SMS marketing tips, especially for the startups. 1. Do not send messages without permission – This is one golden rule which all companies must follow. You should send messages to your prospective customers only when you have received their permission to do so. This means ‘cold calling’ is not at all appreciated. Many established enterprises in the USA were hit hard simply because they did not adhere to this rule. You should always remember that just because a person gave you his/her contact number does not give you his/her permission to send messages. 2. Text messages characters should not exceed 160 – The SMS marketing world gives a lot of importance to the number 160. If your SMS is a long one, then the mobile networks break it into several pieces, each containing 160 characters. Moreover, some networks also decline to carry lengthy messages, when the slicing happens inconsistently. The best way is to limit your SMS to 160 characters. 3. Correct timing is of utmost importance – The success of SMS marketing is heavily dependent on the timing factor. Generally, messages are opened within minutes of them being sent. So, if a message for selling something is sent at a time when your prospective buyer is in no mood for buying, then in all probability your marketing strategy will be a failure. Thus, the message should be sent at a time when your target audience is making a purchase decision. Targets need to be well researched to understand their marketing decisions. 4. ‘Call to Action’ must have a mobile number or a web address – When it comes to SMS marketing, the options for ‘call to action’ is lesser. There are neither buttons nor anchor links that can be taken advantage of. Everything is dependent on the usage of words. There must be something in the SMS that can take your interested customer directly to the product. Either your mobile number or a shortened URL should be provided that can be sent to the dedicated ones. This responsibility should be given to a specific person in the company to reap maximum benefits from SMS marketing. 5. Shortcodes should be advertised – You should integrate SMS marketing with other things that you do. This is a game of numbers and your success is dependent on the number of individuals you can connect with. So, promote the SMS shortcodes across all those marketing channels that are beneficial to you. They should be visible in all forms of your campaigns – social media, email and materials used in physical marketing. 6. 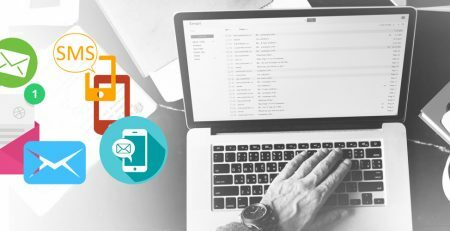 Understand the worth of SMS marketing – Many of us might think that use of web-based messengers reduces the importance of SMS, with its ultimate redundancy. However, this is not true. Although people have started using online messaging more, yet they still receive and send SMS messages. This is the best time for startups to invest in SMS marketing since the number of people using their own mobile phones is greater than ever and this number is only growing.